Husbands can be such annoying creatures, and mine has really outdone himself this time. Our International Man of Mystery was in Singapore last week attending a conference, whilst we were been freezing in Sydney. And I wouldn’t normally mind BUT he’s been staying at the Marina Bay Sands where the conference was held. And that’s just annoying. The main reason for me wanting to stay at this hotel is for it’s unique swimming pool. The pool is 150 metres long, as long as three Olympic pools. 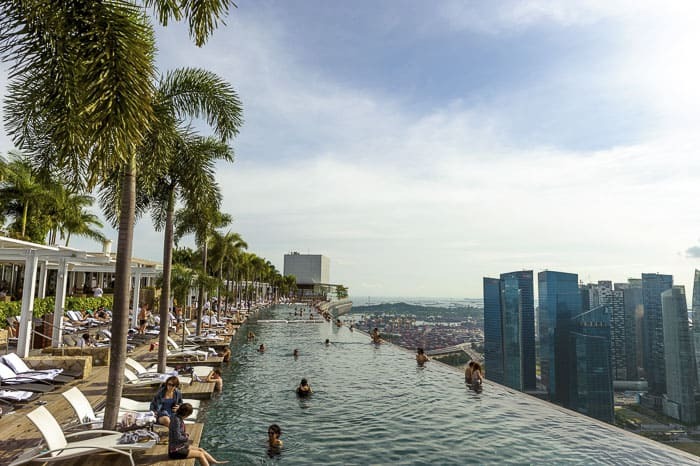 It is the world’s longest elevated swimming pool, 191 metres above ground. I’d only need to do about four laps to have got in a fabulous swim. And guess what? My beloved didn’t even have a swim in the pool – whaaaat? He reported that it was pretty busy morning and night. And he was busy. What kind of an excuse is that? 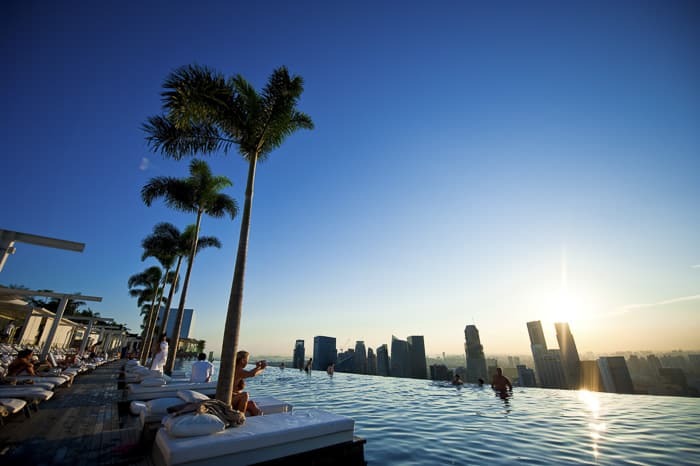 The pool is only open to hotel guests however there’s a huge observation deck called Skydeck which is open to the public. It’s a fab place to watch the sunset, I am informed by Himself. 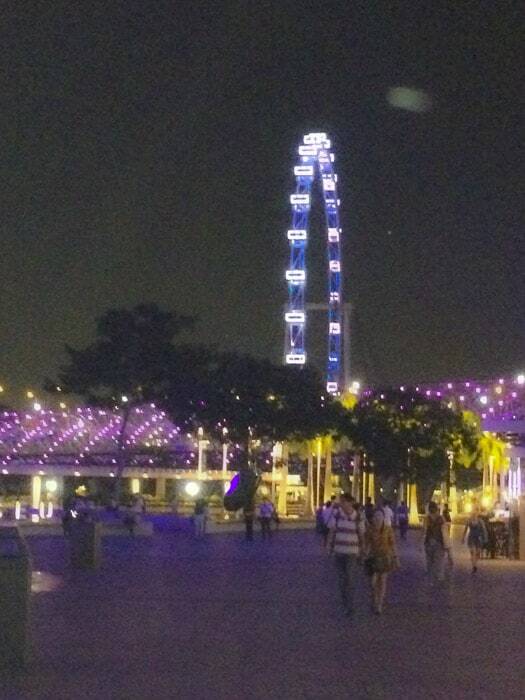 He also recommends watching the the water and light show over Marina Bay. It’s free and on at 8pm each evening. This is the Marina Bay Sands above, it’s massive with over 2000 rooms, a convention centre, museum, theatres, a casino, an ice skating rink and several restaurants. The complex has three 55-storey hotel towers and the SkyDeck which connects them is one hectare. Huge! Even on a cloudy day, the infinity pool looks amazing. At the end of a winter in Sydney, that pool is most appealing. How weird it must feel to swim in the sky. Well, it won’t go away, will it? One day I shall get the old togs on and have a dip. And just to remind myself, when I really do start planning a holiday to Singapore, the Singapore Tourism’s website is here. Got it. 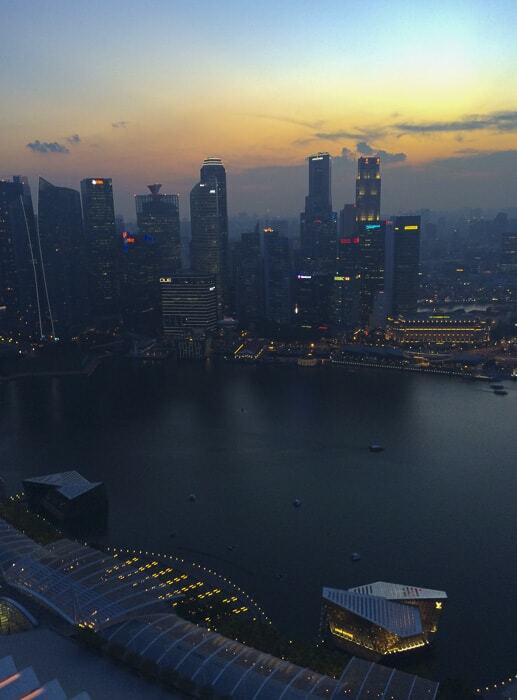 Have you been to Singapore recently? 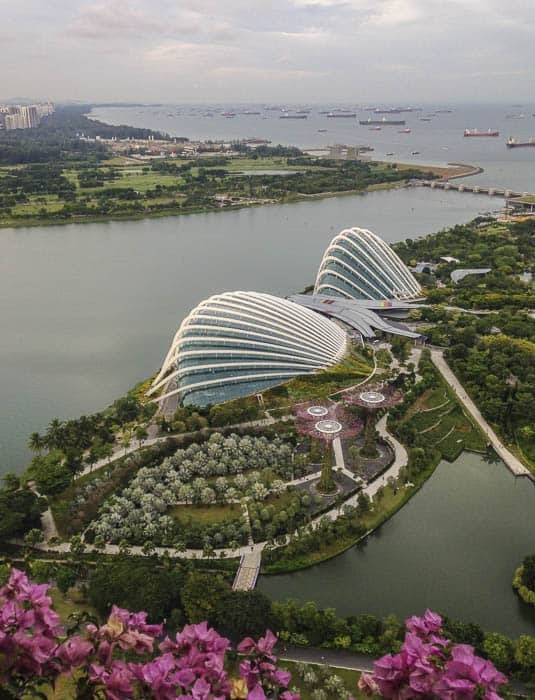 Visited the Marina Bay Sands? Anyone else fancy a cocktail by the pool? 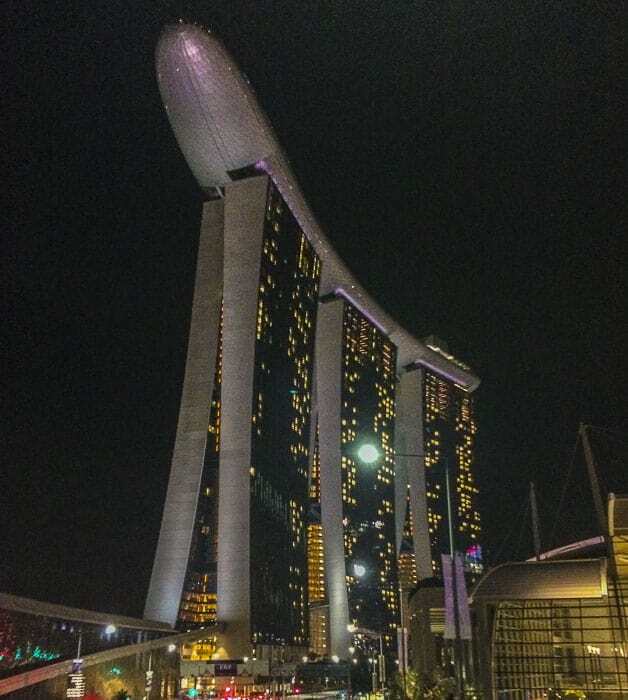 I was in Singapore this year and we weren’t staying at The Sands. I had severe swimming pool envy for those that were. It just looks divine! It does, doesn’t it… I haven’t been to Singapore in 20 years, except passing through the airport. I need to travel to the UK that way instead of via Dubai again. We’ve stayed there a couple of time – eclipsing the pool, they upgraded us to their suite that was 18 rooms (I kid you not, it had a sauna, gym, hair salon room, karoke room, 2 lounges with grand piano and many other rooms.AMAZING!). We had booked 2 rooms off the internet cheapo rates, so it was even more surprising. 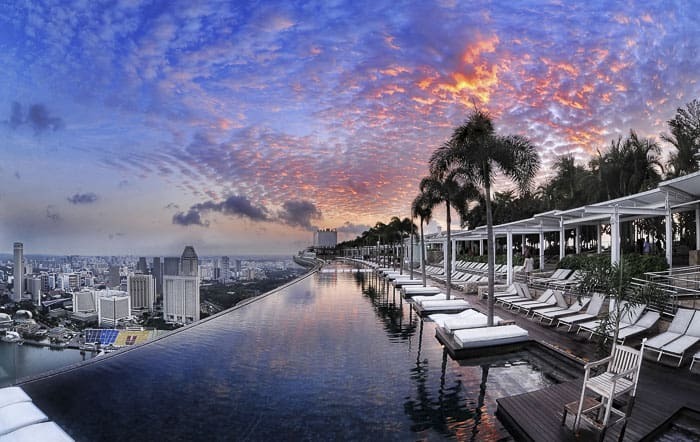 Needless to say, we LOVE Marina Bay Sands!! Hey that is fabulous, a real incentive to get over there one day. I do dream of going alone… but also know the family would love it there. We are going in 23 more sleeps!!! 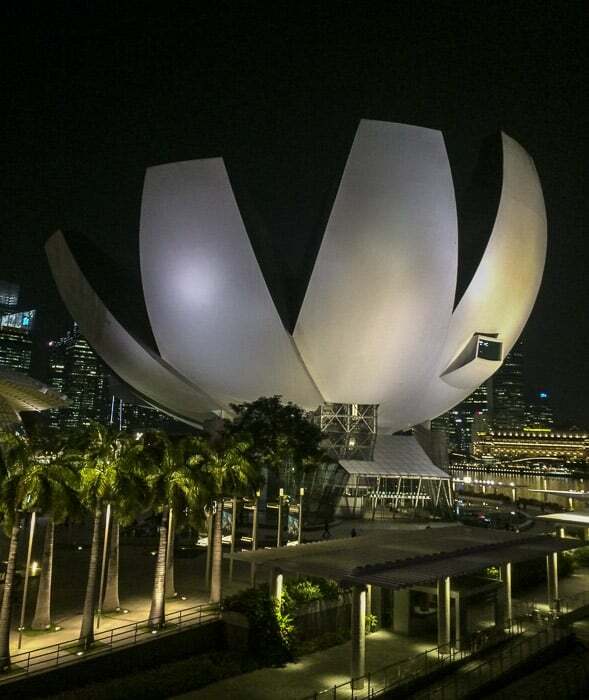 Sadly our budget doesn’t stretch to sleeping at Marina Bay Sands but I’m sure we’ll pop up to the Skydeck, and see the light show and so much else – just a wee bit excited!! Oh how fantastic!! Will you write for your own blog about Singapore? Would you like to write something for here??? I am very envious, please pop me in your suitcase. Oh my God!!! That pool is off the hook amazing!!! I would die to have a swim in it. We can all dream, right?!! Stunning – with a side of a scary thrown in! 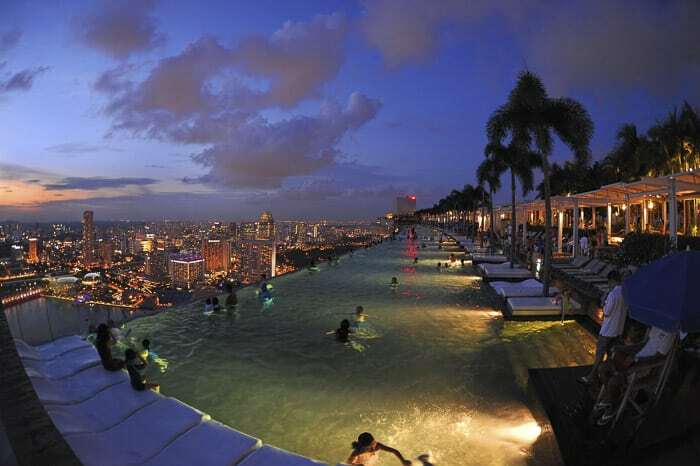 This pool is on my hit list. I CAN’T BELIEVE THAT HE DID NOT GO IN! He’s got to go, don’t you reckon? I made him take his swimmers with him, but they came home unwet. We’d never let this pass by us, would we? I can’t wait to get back to Singapore with the kids. Much has changed since my last trip. 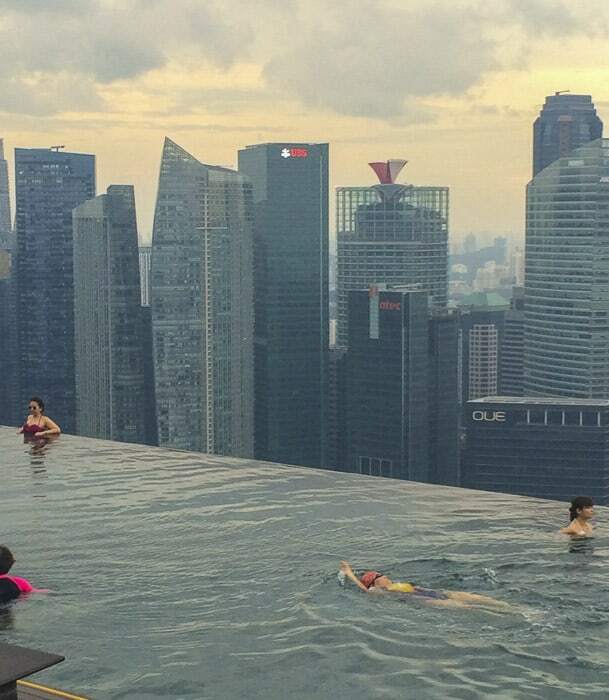 Marina Bay Sands is a must do for me too! Amazing! I might add it to my ever growing list of places to go and stay! I want that pool. What an amazing feeling you would get just being in it. Wow, wow, wow!!! My Mum wants to go on a cruise next year for her 60th… I think I’m going to suggest we go here instead! For those who are visiting Singapore with kids, strongly recommend Kidzania at Sentosa. It is an indoor playground with interactive role plays of so many jobs. Recommended to go on weekdays and avoid school holidays in Singapore.